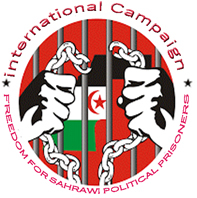 Midrand (Johannesburg), August 6, 2016 (SPS) - The Pan African Parliament (PAP) has called on the United Nations to set a date for the holding of the referendum in Western Sahara to allow the Sahrawi people to decide their own future. “Join the African Union in calling on the United Nations to set a date for the holding of the referendum in Western Sahara to allow the people of Western Sahara, the last colony in Africa, to decide on their right to self determination,” said a communiqué sanctioning the 8th Annual Conference of Speakers of African Parliaments. The President of the National Council (Parliament), Khatri Addouh, took part in the Annual Conference of Speakers of African Parliaments. He was accompanied by the Pan-African Parliament Deputy Speaker, Suelma Beiruk, along with some members of the African Parliament, as well as the First Secretary of the Saharawi Embassy in South Africa, Mousa El Wali.